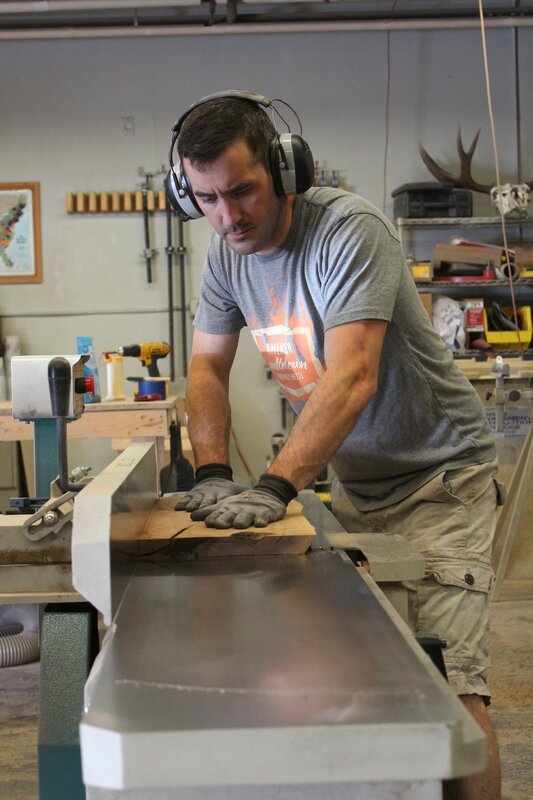 We build custom, one of a kind furniture tailor made for each customer. Higgins Fabrication launched in early 2014, but it all started long before that. For most kids, the household rules involve what TV shows they can watch, and what chores they're responsible for. Mine were about which power tools were ok to use when mom and dad weren't home. As a kid, and for years after, I spent countless afternoons in my parent's basement, building chess boards, bookcases, tables...and one crossbow (sorry mom). After college, I joined the Army and then went into the business world, pushing building aside, but never being able to completely let it go. A few years ago, I moved back home to Maine and was able to start building again. And in 2014, I decided it was time to fulfill the lifelong dream of doing it professionally. Fortunately for me, I had a lot of help around. My father, brother, and a few uncles and family friends have been instrumental in getting this all off the ground and making it far more successful than I ever imagined. 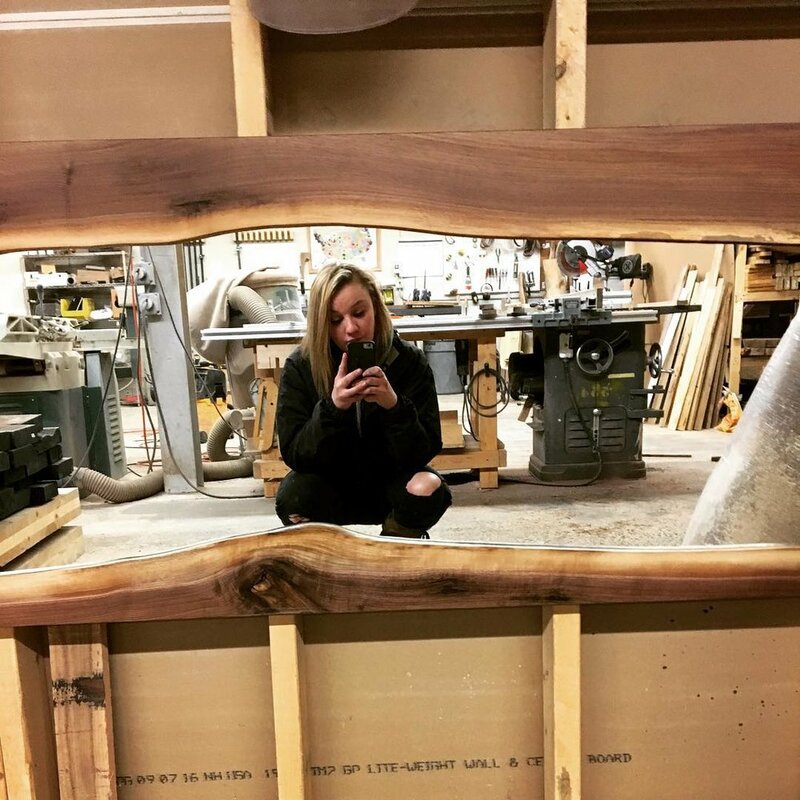 Kelsey Joined the team in 2016, and upped our game on steel work immediately. She also banned the rest of the crew from ever touching the welder again, which is probably (definitely) for the best. She is the backbone of this company and easily 2.6x stronger than everyone else. She definitely didn’t write that.